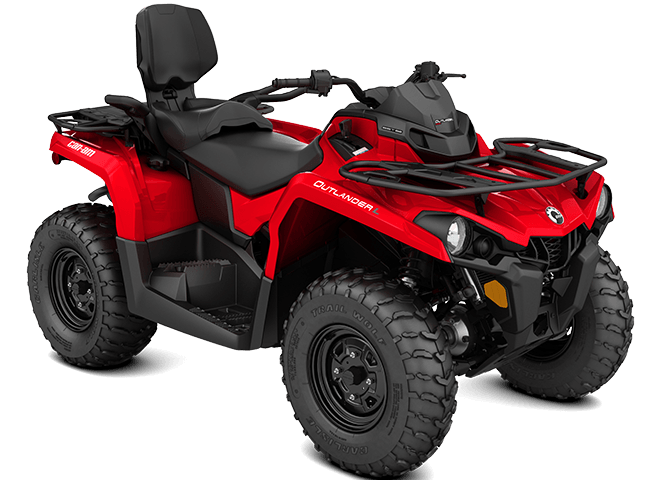 ROTAX 450 AND 570 ENGINES OPTIONS: Select from either a 38-hp single-cylinder, liquid-cooled Rotax 450 four-stroke or a 48-hp, eight-valve, liquid-cooled SOHC Rotax 570 V-Twin. The proven Rotax engines offer unmatched power and performance while remaining both reliable and efficient. STEEL RACK WITH LINQ QUICK-ATTACH ACCESSORY SYSTEM: The Outlander L MAX models feature front and rear steel rack designs with a 360-pound (163 kg) combined rack capacity [Front: 120 lb (54 kg) / Rear: 240 lb (109 kg)]. 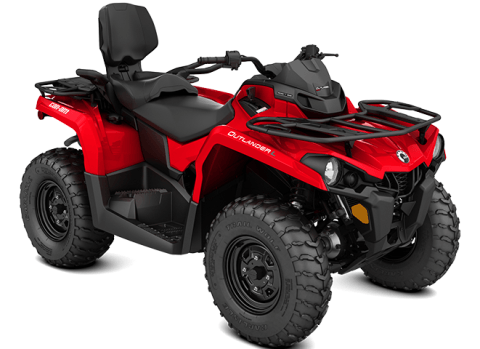 The integrated LinQ quick-attach accessory system offers convenient and adaptable cargo hauling capabilities and works with numerous Can-Am rack accessories.